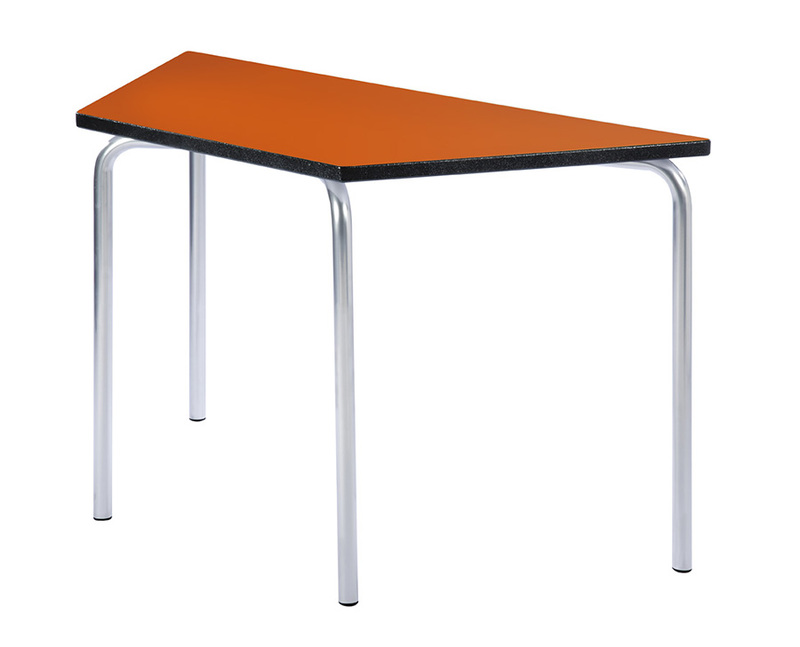 A pack of 2 trapezoidal shaped classroom tables from our Equation range. With a choice of 6 heights, these tables can be used for a variety of ages from nursery through to secondary school. These tables feature a stylish 32mm round steel frame with a speckled light grey finish. 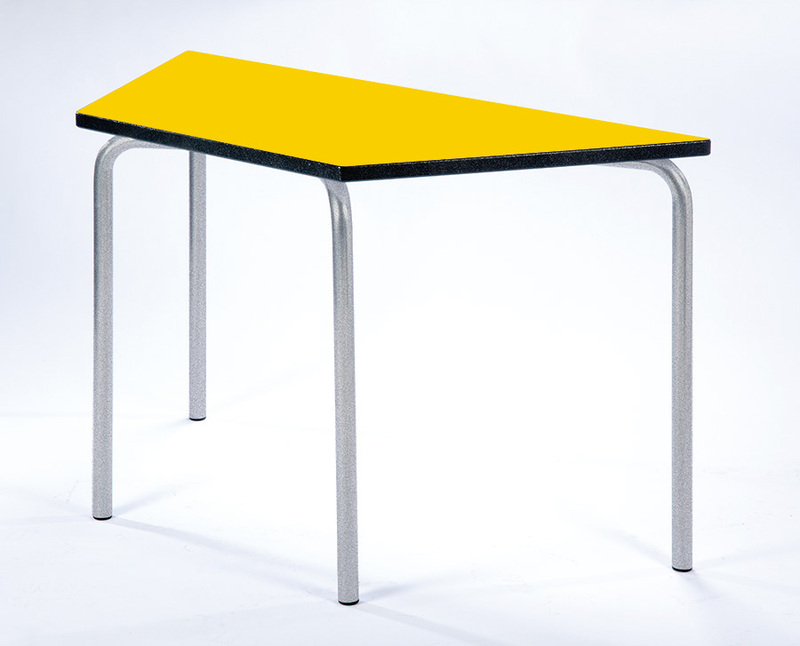 The resilient table tops are 25mm thick, laminated and designed to withstand daily use in a busy classroom environment. The edges are covered in a durable textured PU spray, available in 3 colours - blue, charcoal and light grey. Table tops can be finished in a range of 11 vibrant colours to match any classroom aesthetic. Height adjustable feet are used to ensure stability, as well as tamper-proof screw fixings which are ideal for educational environments. The tables are available in two sizes: 1100mm on the longest side x 550mm on 3 equal sides or 1200mm on the longest side x 600mm on 3 equal sides. All of the tables in our Equation range come with a 10 year manufacturer's guarantee. When used with other Equation tables you can create modular table shapes which will suit any classroom shape or size. Also available in the Equation table range are the Rectangular, Square, Circular, Semi-Circular and Arc tables. For a fun modular solution we also offer the Equation Leaf and Equation Jewel tables which fit together to create a range of fun shape combinations. PLEASE NOTE: These classroom tables are sold in sets of 2 only. Therefore, adding a quantity of 1 into your basket will order a set of 2 tables, quantity of 2 is 4 tables etc. For more information please Contact Us or call us on 01733 511121.